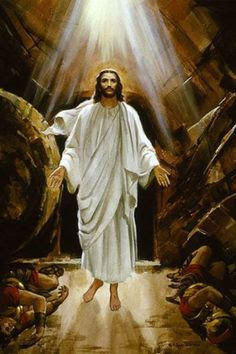 CATHOLICWEBPHILOSOPHER: EASTER FREEDOM: IN CHRIST WHO HAS CONQUERED DEATH, I CAN CONQUER LIFE AND EMBRACE IT, ALL OF IT! EASTER FREEDOM: IN CHRIST WHO HAS CONQUERED DEATH, I CAN CONQUER LIFE AND EMBRACE IT, ALL OF IT! The story is told (apocryphal most likely) of a young Harry Houdini who, during one of his routines, failed to open the door to the prison cell in which he had been locked despite the door not even really being bolted. He had apparently become so convinced that it was in fact locked that none of the tiny picks he had designed and kept in the fold of his clothes seemed to work. Exhausted after having tried every trick he knew, the great escape artist simply collapsed against the cell door, at which point it simply swung open. It hadn’t been locked in the first place; though it was in his mind. Haven’t we all, from time to time, found ourselves in a similar situation, trapped in prison cells whose doors aren’t really bolted, yet appear to be so (or at least we’ve become so convinced that they are) in our hearts and minds? Perhaps it’s because of something we’ve kept hidden deep inside us, something wrought by some sorrow or heartbreak in our past that has stifled our souls and chained us to bitterness, anger, or fear. Or it may be a deficiency in ourselves, whether physical, emotional or intellectual, that has rendered us unable to believe enough in ourselves in order to experience life to the full. 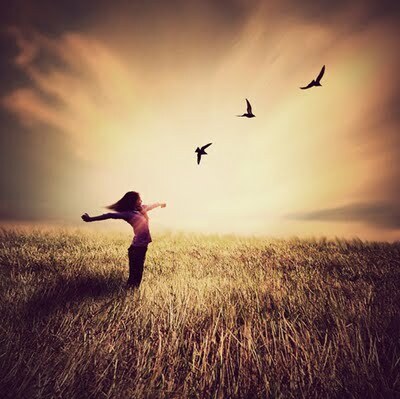 The 20th century psychologist, Abraham Maslow once said that when it comes to being able to embrace and celebrate all that life can offer, both the pleasant and the difficult, one must be able to bridge the distance between merely desiring to eliminate deficiencies in his life, to actually being motivated by an open-ended desire to experience life to the full. In Maslow’s view, we really cannot achieve the latter goal (which he considers the ideal), without first being able to adequately address the former. Those of us who are weighed down by enormous “baggage”, whatever form this might take, will find ourselves hindered from opening our hearts to the great possibilities of life without fear, worry and anxiety which are the greatest enemies of a full human life. Easter is, of course, not the mere celebration of earthly life, no matter how glorious and full we conceive such life to be. The life the Risen Jesus offers is infinitely larger than earthly existence. For what he now offers, what we tonight celebrate, is the fullness of life itself, everlasting joy, endless peace, total even overflowing abundance. Jesus’ conquest of death has forever opened the gates of eternal life; this is what we celebrate. 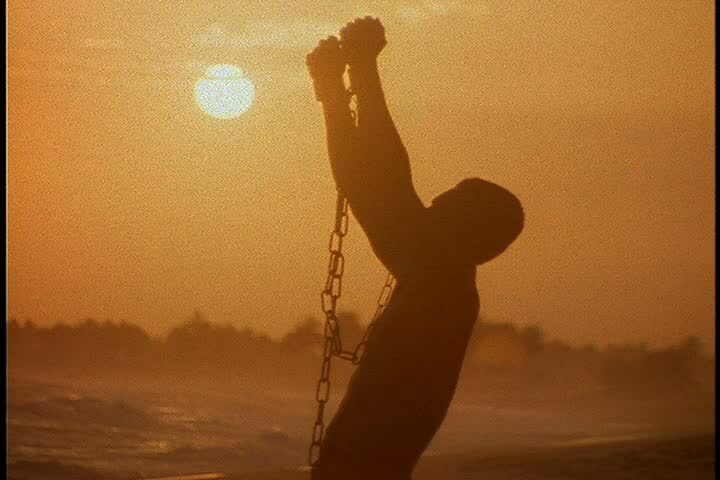 And yet accepting that offer Christ makes, deciding to take the path that leads to eternal life, and choosing to enter the gates that have now been opened to us, requires a will that has been freed from its chains and liberated from whatever prison in which it may still find itself. The fullness of earthly life is not disconnected from the life offered by the Risen Christ, no matter how limited the former may be. Nor are the eternal joys made possible by his conquest of death completely different, detached, and separated from the joys of our earthly journey. The fact is God wants us to be happy, in the here and now, just as he wants us to be happy with him for all eternity. As Pope Francis never seems to tire of reminding us, misery is not the lot of a follower of Christ, not later on in heaven, but certainly not on earth either. Life is never going to be perfect, but our lot as disciples remains that of joy, Easter joy! 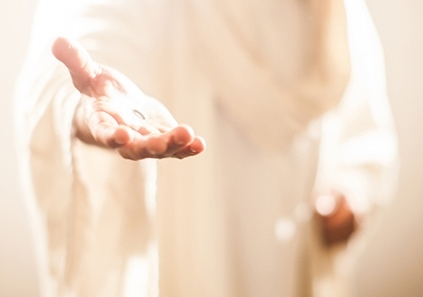 And so allow me to share with you the stories (not apocryphal this time) of two individuals who, with Jesus and because of him, have experienced what it means to be freed from the chains that have bound them to grief, worry, anxiety, fear, and the inability to embrace and celebrate life in its fullness, two persons who, in the words of one of them, “have come to know what Easter means” – that it is a “foretaste of eternity in the here and now”: a mother who had been trapped in a prison created by her abusive character, and a priest who had been trapped in a prison created by someone who had abused him in his youth. A few years ago, I had the chance to journey with a young woman whose first marriage had collapsed. She married a very good young man, and they were very much in love. At some point though, things began to change. She became very jealous, controlling, disparaging, and at times, even violent towards him. They had a child, but after six years of marriage, ended up separating and getting a church annulment. A few years later, she married her second husband, another good man who loved her very much and was happy to be the stepdad of her young child from her previous marriage. They had three more children together. After a number of years though, her jealousy and controlling behavior resurfaced; and the constant putdowns her husband had to go through began to cause tremendous strain on their marriage, not to mention the fact that she once again became rather violent. This time, however, she began to notice the pattern. And because she now had four kids and did in fact love her husband, she decided to seek advice as well as spiritual and emotional guidance. She came to me saying: “Father, I love my family. I don’t want to fail again. But I don’t know what to do. I simply don’t understand what’s going on. Please help me”. I contacted a friend who’s a family counselor and sent her to him, meanwhile, she would come and talk to me about her family, her faith, her struggles, and the progress of her counseling sessions. 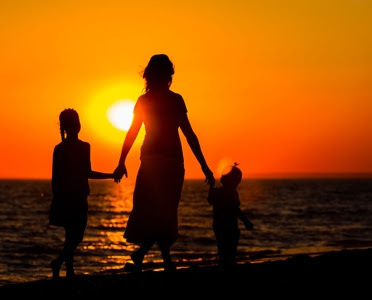 At one point, she disclosed that as a child, her mother had been physically and verbally abusive to her, and for some reason, she found it very hard not only to forgive her mother, but to also move on. She didn’t know how. Several summers ago, she had the chance to visit her grandmother’s sister who was still alive but quite ill. She decided she wanted to know more about her mother’s family. It was then that she learned that her grandmother too suffered the same fate with her great-grandmother, and the abuse she experienced from her mom was the same abuse her mom in turn suffered from her grandmother. “The pain stops with me”. Often, in our meditation on the suffering and death of Jesus, our minds focus on God’s immense love for us; and that is good. But we must not forget that the image of Christ on the cross is also telling us something more. The suffering and death of Jesus isn’t only a reminder of God’s love, it also represents a profound appeal to us: “Do not let this happen again. Do what you can to put an end to each other’s suffering, say ‘no more’ to the cycle of pain; ease one another’s burdens”. With that resolution, this wounded and broken woman, this abused daughter, this wife and mother seeking healing and wholeness, who had for so long been imprisoned by the wounds of her past, finally had her own Easter; like Jesus she escaped from her tomb. The day she resolved that her pain would not be visited upon her children, was her own Resurrection Sunday, the day when she finally burst forth from the prison that had kept her locked up, frozen, suffering, and sadly, inflicting the same pain and suffering on others. Today, she is a happily married wife and mother. At about the same time, I was journeying with this mother whom Christ had freed from her chains, I became acquainted with a priest who was a dynamic, caring, generous and loving shepherd to his flock. At one point during his ministry though, he fell into a deep and dark period of depression which, as he said, he simply couldn’t shake off no matter how hard he tried or how deeply immersed he was in his work and in the lives of the people he served. Aside from that, he said he felt a growing sense of anger and bitterness bubbling inside him – emotions whose origin and root cause he couldn’t seem to put his finger on, very strong emotions which now threatened to overpower him and wreak havoc in his life and vocation. Feeling unable to continue effectively in his ministry and wanting to regain the sense of balance he felt he had so suddenly lost, he decided to ask his bishop for some time off in order to go into counseling and find some healing for the pain and turmoil he was experiencing. It was during this time that he managed to retrieve some very painful memories that he had repressed from his youth, memories of abuse at the hands of another priest. It was, for him, a very painful time – his “Good Friday” as he called it. He was away from active ministry for several years, trying to find healing, trying to find freedom, trying to get to his Easter. After a rather long silence, he replied: “I haven’t had a real Easter in a while, you know. This year isn’t going to be any different. I know one day I will. I hope and pray for it everyday. I know I’ll celebrate Easter again. But not this year. Not yet”. I cried after that phone call. I cried for my friend, I cried for this good and loving priest. But I also cried because I love the church; I love the priesthood, and I feel the pain of those like him. But I think I cried for myself as well. Because I realized how tremendous is the task of being a priest, and how painful the wounds a priest can inflict on others. 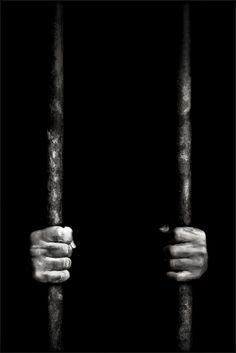 We all have our tombs and prisons that lock us in. Perhaps it’s a prison of anger or resentment, addiction, abuse or depression, failure or disappointment or a physical weakness we bear. Perhaps it’s a tomb of powerlessness because someone we love is ill and we sense their life slipping away. Or our tomb could be grief over the loss of someone we love, and the pain feels like it would never go away. Possibly our prison, our tomb, is a loneliness that’s like a thirst that can’t seem to be quenched. 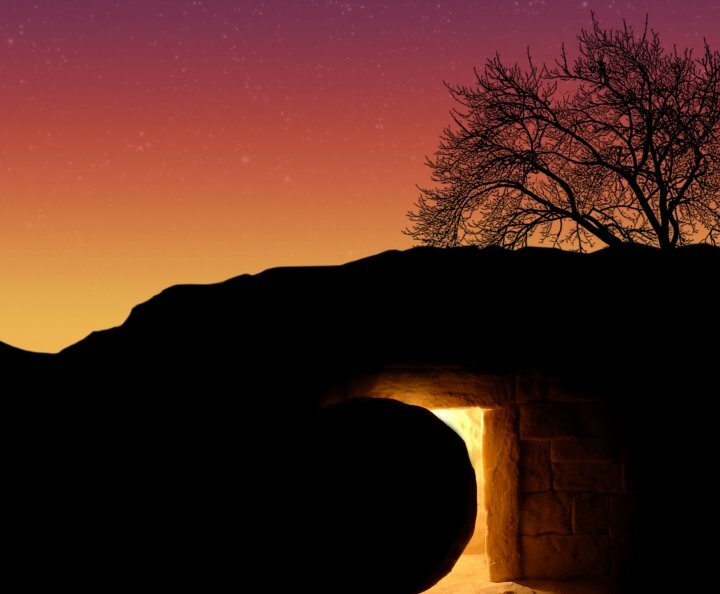 On this night, when Jesus burst forth from that tomb that had kept him for three days and three nights, we find the fulfillment of our hope that we too can leave behind the many tombs and prisons that have kept us locked in. 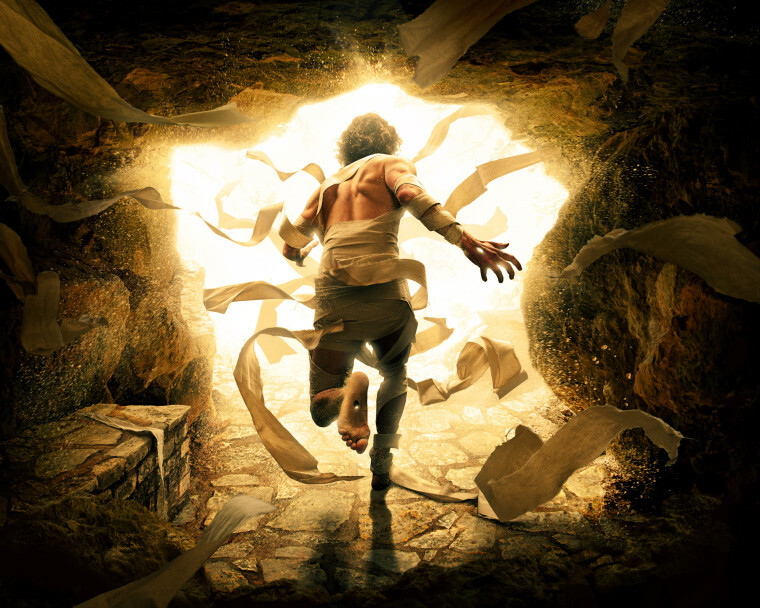 In Christ who is Risen, no tomb can contain us. 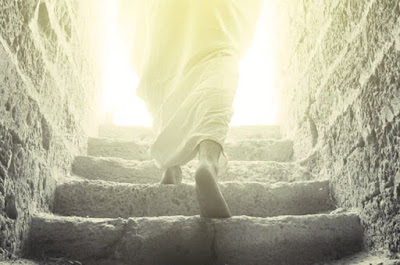 In him who is Risen, we can escape anything, even the deepest, darkest, and most painful prisons life has imposed on us. 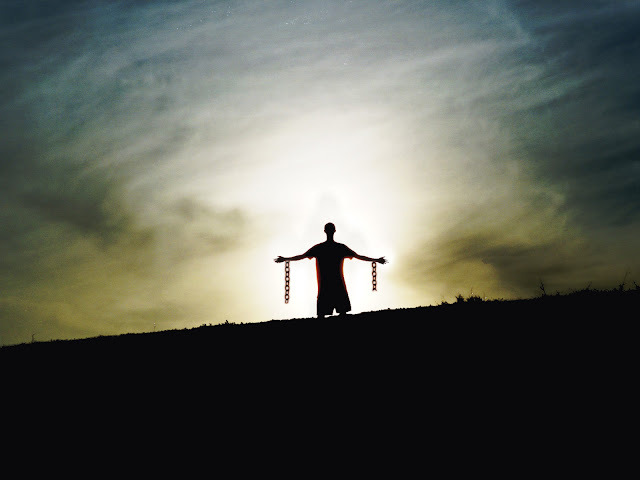 On this night, Jesus has forever broken the chains of death, despair and entrapment. Freed from his own tomb he now commands us to come forth and leave our own tombs. 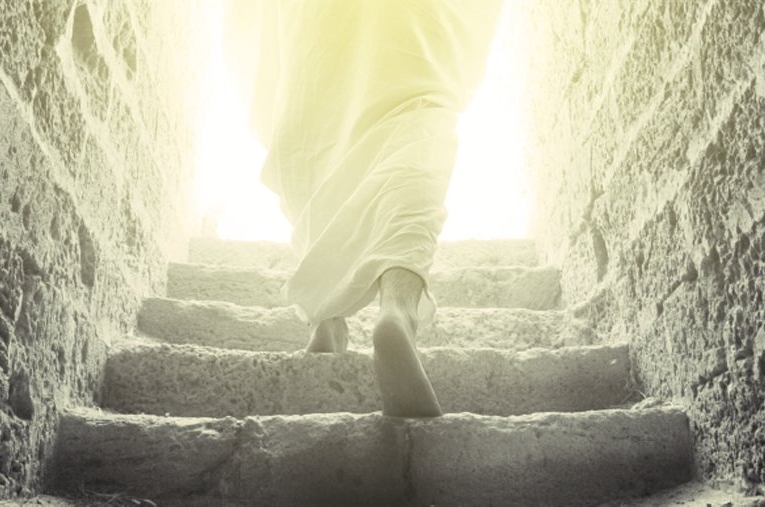 He has risen to set us free, and he wants us to know that his power is greater than our weakness and despair, his love greater than any frustration, his light greater than our darkness, his promise greater than our pain, and the life he offers us, is greater than death itself. And because of that, we are able to embrace the fullness of the life he offers – in the here and now, and with him and all the blessed later in our heavenly home. 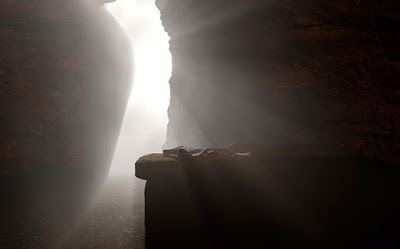 This Easter, Jesus who is Risen, invites each one of us to consider what tombs, what prisons still hold us back from living our life to the full. And he calls on each one of us to trust that he can set us free—if we but let him, for his Resurrection is our Resurrection, his victory is our victory, his Easter is our Easter. With Saint Paul, we can say with all confidence: “With Christ, I can do anything”. And with the Risen Christ himself we can proclaim: “I have conquered the world”. A few years ago, as I was preparing to do my Night Prayer on Easter Monday, my phone rang, it was my friend, the priest who had taken some time off from ministry in order to find healing for himself, forgiveness for the one who had wronged him, and restore his faith and trust in the God who had called him to serve those who, like himself, have been wounded by life. “How are you doing?” I asked, not sure if I should greet him a “Happy Easter”, still remembering how painful the last Easter conversation was that I had with him.